The Minister for Business and Employment, Ged Nash TD, today launched a new €500,000 Enterprise Ireland Competitive Start Fund to stimulate start up activity in the agricultural and manufacturing sectors. This fund, which provides for up to €50,000 in equity support for each successful applicant, will open for applications on Wednesday, 16th September and closes at 3pm on Wednesday, 30th September. The new Fund – the first of its type targeting the agricultural and manufacturing sectors – will help start up and early stage companies to get off the ground and launch new products and services in the international marketplace. The priority is to provide young companies in these sectors with the critical early stage funding for the key commercial and technical milestones that will ensure delivery of their product or service, and help them get their project to a key funding milestone. The fund is open to applications from individuals, early stage companies or prospective businesses operating in the agri-business sector including; machine design and manufacturing; fabrication, engineering and technical activities; life sciences products with application in the agri-sector; farm related software and related services; vet-pharma, animal health and chemical products. Early stage food companies with the potential to export are also encouraged to apply. 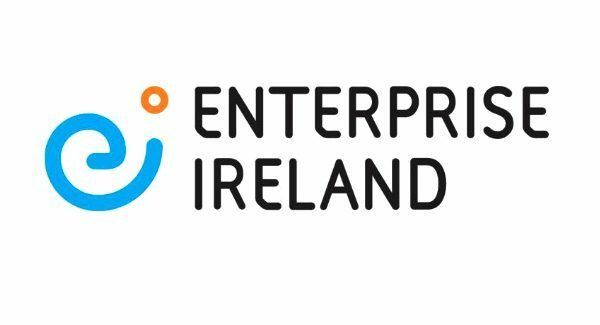 The new Fund is part of Enterprise Ireland’s strategy for increasing the number and quality of High Potential Start-Up Companies (HPSUs) that have the potential to employ more than 10 persons and achieve €1 million in export sales within 3 years. Targeting start ups and early stage companies that have the capability to succeed in global markets, the objective is to stimulate start-up activity in the agricultural and manufacturing sectors, ultimately creating jobs in Ireland. Launching the Fund Minister Nash said: “A key part of the Government’s Action Plan for Jobs is targeting specific sectors where we have established strengths, and supporting growth and expansion in those areas in order to create jobs. In Ireland we have very strong agricultural and manufacturing sectors, with great entrepreneurs at the coal face of international business competition. New businesses create two-thirds of all new jobs in the economy, and we have made a deliberate decision to support more start-ups in sectors where we have real established strengths. This Fund will make a real contribution to supporting more businesses and ultimately more jobs in these important sectors”. John O’Dea, Manager, High Potential Start-Ups at Enterprise Ireland, added: “This Fund is the first of its type specifically targeting the agricultural and manufacturing sectors, and will provide a package of financial and developmental supports for early stage and potential start-ups. Applications will be considered on a competitive basis and the financial support will be in the form of equity investment”. The closing date for applications is 3.00pm Wednesday 30 September 2015.